Within twenty seconds of listening to Pain and Misery you’d be forgiven for thinking it was the work of Stax Records alumni in Memphis circa 1967, but in fact, it’s the gorgeous sounds of Australian blues and soul band The Teskey Brothers. 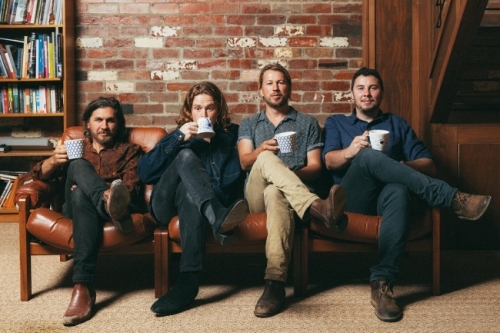 Originally from The Yarra Valley just outside Melbourne, brothers Josh and Sam Teskey with local neighbourhood friends, Brendon Love and Liam Gough have been playing together since they were teenagers for the past decade. Last year, they self-released (produced by bassist Brendon Love) their debut album in their native Australia which turned them into something of an overnight sensation. Now signed to Decca Records, their stunning debut (plus two additional new tracks) just got its worldwide release last Friday and this gorgeous track is one of its standout gems. Channeling Otis Redding, Josh’s sublime vocals soar over lush blues-soul tones in a track perfect for mellow contextual playlists and easy listening radio stations. Earlier this year, they sold out the Omeara in London, as well as performed at the Great Escape festival and South by South West. Next year they will return to the UK as part of a headline European tour with a show at Union Chapel on 11 February, but until then just bask in the glorious smooth soaked sounds of the Teskey Brothers.